Collaborative learning encourages and enables students to work and learn together to study and explore a subject, to solve a problem, to complete a task or an assignment, or to create a project. Using ICT to support such collaborative work has a number of advantages. Not only can it facilitate certain collaborative activities but it also can enable students work collaboratively even when they are located in different places and collaborating at different times. Furthermore, collaborative work supported by ICT enables them to practice essential 21st-century skills such as collaboration, communication, and knowledge creation. As Tony Bates recently stated, if we want our students to ‘earn digitally’ then we need to give them plenty of opportunities to ‘learn digitally’ – ICT-supported collaborative learning has a lot to contribute in this regard. When it comes to choosing a suitable method and/or tool to support the collaborative learning activities you have planned for your students, there are quite a few aspects you need to take into consideration. The first is finding a method and/or tool that matches your activity and which offers the functionality that you will need. You also need to take into account issues to do with technical support and complexity – is this a method and/or tool that you can easily use, and if it needs a lot of technical or other support, is this available? What about the cost of the service or tool that you chose, and if there is a cost, how will it be covered now and in the future? Given the increasingly data-sensitive world in which we live, you need to also consider privacy and the management of data arising from your methodology and use of various tools. This online guide, provided by JISC in the UK (updated in 2016), provides a lot of information on using collaborative online tools to support interaction. Read in particular the part dealing with defining your criteria for interaction. Finally, by way of examples, University College London (UCL) in the UK is actively promoting ICT-supported collaborative learning throughout the university. Take a look at this web page that features a variety of different case studies from across the campus, highlighting different teaching and learning methods that are supported or facilitated by the use of technology. It may inspire you! Here are 3 useful collaborative learning approaches that you should try out and consider for inclusion in your eLearning offer. Think-Pair-Share is a technique designed to encourage students to share and discuss ideas around a particular topic, issue or problem. It can be used to gauge conceptual understanding, filter information, draw conclusions and encourage peer learning among students. Essentially it involves putting students into pairs and asking them to discuss a challenging question and then to report their findings back to the class. You can read more about it here. A number of different ICT tools can be used to support this activity including Padlet or Kahoot. Word Webs is a technique which can be used before, during or after a class and either individually or in small groups. Essentially the idea is to take a word, concept or issue and to make a word map of all the words related or connected to it and then to group or sort the different batches of selected words. This short video does a good job of explaining the approach. Any mind-mapping software can be used to support this technique: take a look at MindMeister or bubbl for example. Think-Aloud Pair Problem Solving is an approach which helps students tackle problems in depth by setting them up in pairs, alternating the role of problem solver and listener, to discuss in detail a specific problem or challenge. It can really help students develop both problem-solving and listening skills. This short video gives a good overview of the method as well as several tips and suggestions for getting the most out of it. Given the dynamics of this technique it is best used synchronously. In terms of ICT tools, choose a video or audio-only conferencing service like Skype or WhatsApp. 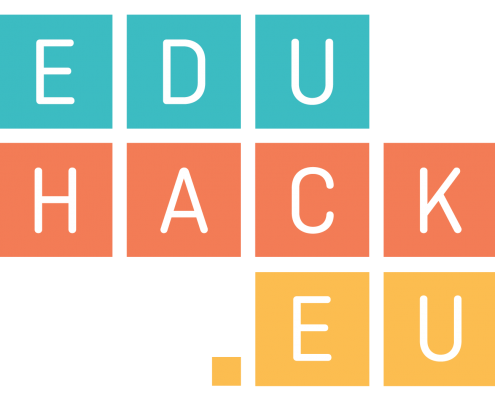 Please write a blog post on your own blog or the EduHack Wall on which one/s of the above approaches fits better to your teaching, and on how you would practically implement it. In this chapter of one of his well-known publication, Tony Bates focuses on the foundations of educational technology and helps you build your own framework for looking at the different devices and resources that you can use. In this blog post, Cathy Davidson provides helpful background and some useful resources on what she describes as “active learning” or engaged, student-centered, or radical pedagogy. In this article, academic staff from the University of North Texas describe their collaborative teaching experiences. While they report specifically about the online collaborative opportunities they create in their online classrooms, they also refer to their experience with regard to group work, instructional design, time management and students’ nurturing within the context of collaborative (online) learning. Round Robin, where working in small groups of 3 to 5, students are given a question which they quickly give their answers. Role-play, a technique used regularly in face-to-face teaching but also very useful in eLearning.